In recent years, the volatility of the energy markets have affected everyone on some level. We at Surner Heating know all too well the ups and downs of the fuel oil market. Due to these inconsistencies, we have consistently offered fuel programs to our customers in Hampshire and Franklin Counties to help stabilize our customers’ heating costs. 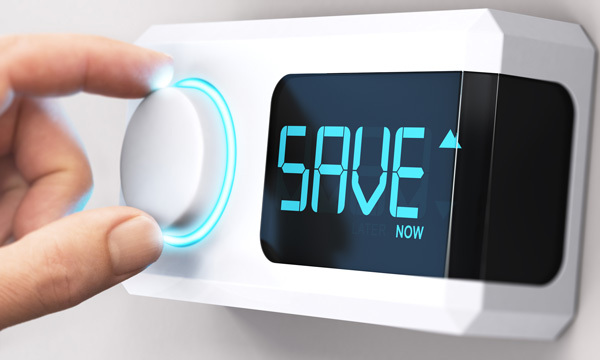 Surner Heating has developed two different types of fuel programs, full-service and self-service, in order to best serve all of our customers. With full-service, you have the quality, service, and personal touch you have known for the last fifty years, giving you the options and choices your family needs. The self-service program is our discounted fuel company. Same Surner name, different Surner price. We have realized that not all of our customers want our full-service amenities, which is why we have developed Surner Discount Oil, an online-based company. You order your fuel online and it’s delivered promptly to your door. It’s that simple. There are no extra services, just discounted fuel. This is a locked in price plan. You will know what your cost per gallon is and be protected from any price increase that may occur over the course of the heating season. However, if the market price drops below your contracted price during the season, you are still committed to your fixed rate. Fixed Price deliveries continue until all gallons ordered are delivered. With this program, you do not lock into a fixed price. Return your signed contract for a specified amount and at the time of delivery, your account will be billed for the gallons delivered at our market price less a 15 cent per gallon discount. Market Plan deliveries begin at contract inception and end the following May 31st or when dollars contracted for are used. You will receive a 15 cent per gallon discount off market price with a ceiling (cap). With this program, the price will be “capped” at a “not to exceed price”. You will be charged the lower of the market price or your “capped” price whichever price is lower. You will have a ceiling with no floor. The best of all worlds. There is an additional cost for this insurance protection. Downside Protection deliveries begin at contract inception and end the following May 31st or when gallons contracted for are delivered. Should your account run out of prepaid gallons/dollars, you will be billed at the market price on the day of delivery for any gallons delivered over your prepaid amount. Surner has one budget contract option this year. Estimate how much fuel you will use during the heating season multiply by the appropriate price and divide by 11 months. This allows you to make equal monthly payments instead of coming up with a large payment at the time of delivery. Payments are made from July through May. Our Budget Plan customers can also benefit from downside protection for a nominal monthly fee. Think of this as a ceiling without a floor. You will never pay higher than your predetermined cap price per gallon, but you can enjoy a savings if market prices drop, no matter how low they go! This is our most popular plan and is the best of all worlds. Downside protection deliveries end May 31st or when gallons contracted for are delivered. Should your account run out of budget gallons, you will be billed at the market price on the day of delivery for any gallons delivered over your budgeted amount. With Surner Discount Oil, you are getting the best possible price available. By placing orders online without any added services, we can afford to bring additional savings and discounts to our loyal customers. With this program you are in charge of monitoring your fuel levels and placing orders as needed. Place orders online 24-hours a day, 7 days a week. Does this self-service program sound up your alley? Continue to our Surner Discount Oil website to learn more and sign up! If you are looking for emergency service, budget plans, automatic delivery, or service plans continue reading about our comprehensive service programs or contact us at Surner Heating.